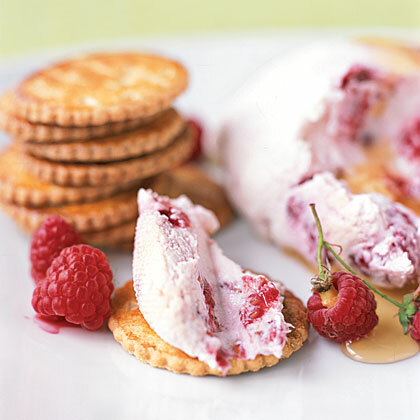 Yogurt and milk add calcium and make this icy dessert extra creamy. 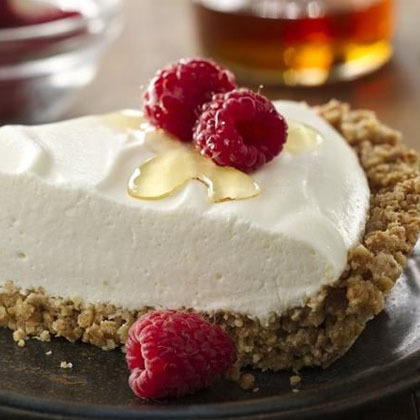 This lightly sweet yogurt pie is served in a crunchy granola crust. 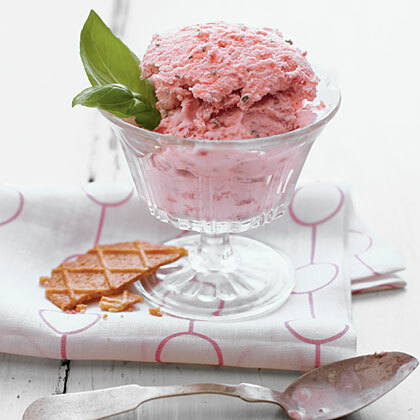 Garnish this refreshing dessert with basil sprigs. 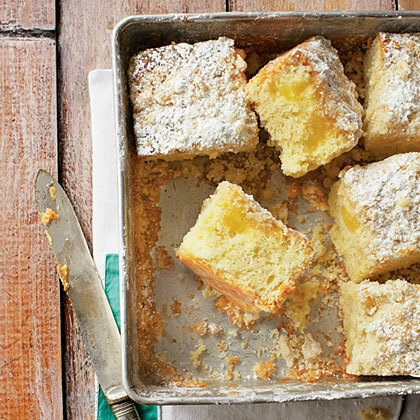 We love the swirls of lemon curd in this cake, but it's also delicious without it. 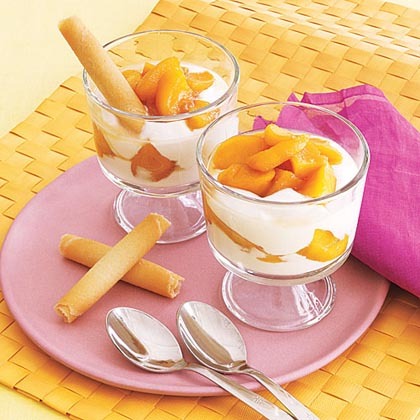 The yogurt dressing sweetens any slightly unripe fruit and also dresses up basic fruit salad. 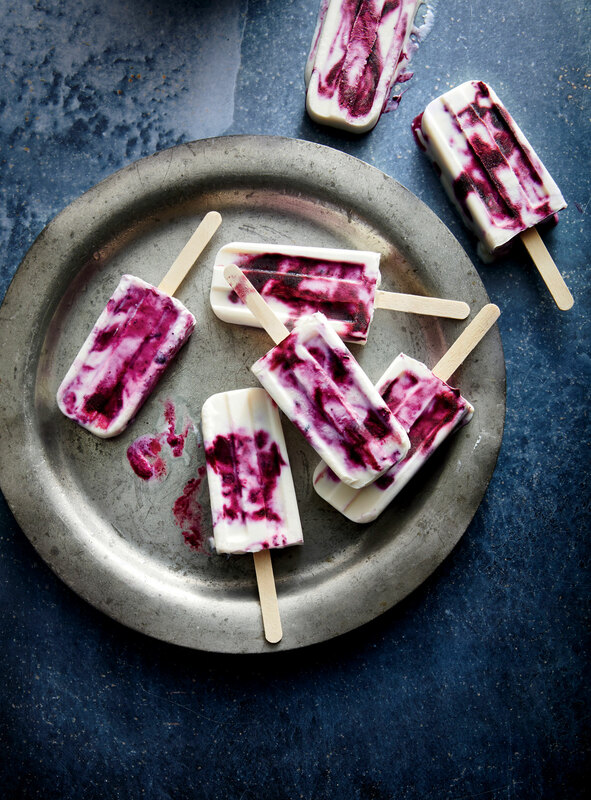 Play around with different flavors of jam or even flavored yogurt to suit your imagination. 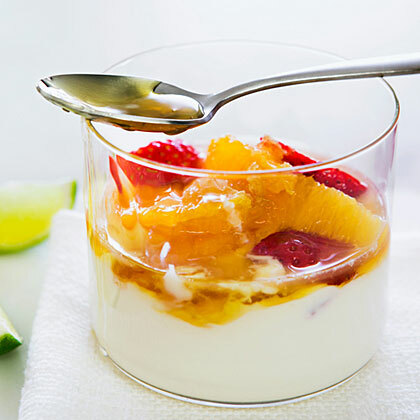 This simple flavor combination, contributed by Molly Hill, of Calistoga, California, adds just the right amount of sweet spice to ordinary fruit and yogurt. 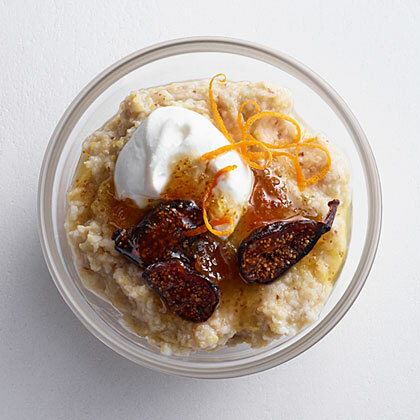 Try it for breakfast, an afternoon snack, or a healthy take on dessert. For a more voluptuous texture, cookbook author Janet Fletcher drains her homemade yogurt to release some of the liquid (whey). Serve this yogurt with fruit and use it in recipes such as Harissa-Roasted Chicken with Chickpeas. Fresh fruit and yogurt transform ordinary frozen waffles into a special breakfast that's quick to prepare. For fun, your kids can create funny faces on the waffles with the yogurt and fruit toppings. 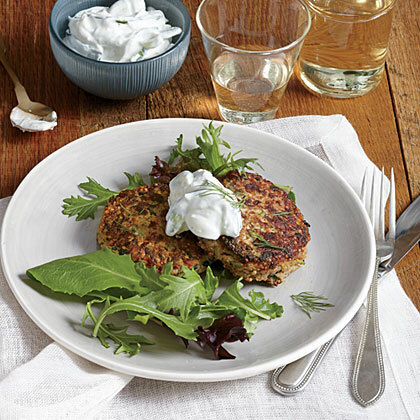 We use uncooked quinoa instead of flour to bind these tasty cakes. 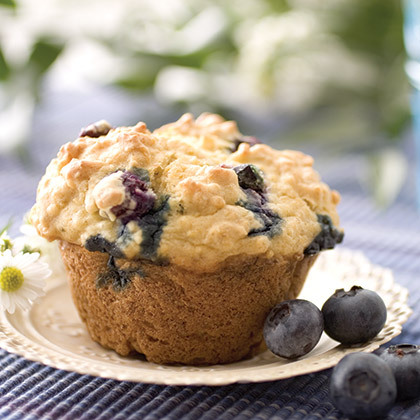 It's protein-rich, adding an extra 3 grams per serving. Simply pulse in a mini food processor until finely ground. 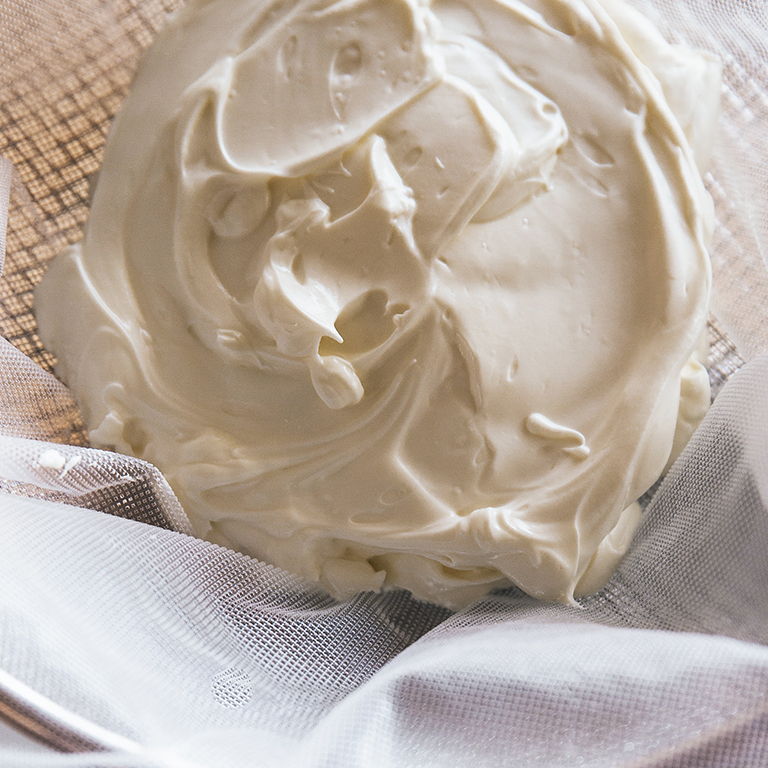 Called yogurt cheese when it's unsweetened, this thick, tangy condiment is a snap to make. In fact, it's likely to become one of your favorite kitchen staples. 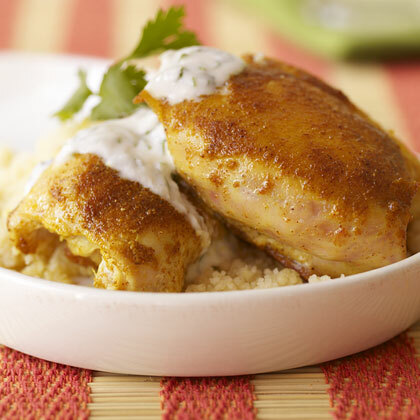 The yogurt sauce's cooling effect balances the heat of the spiced chicken thighs. 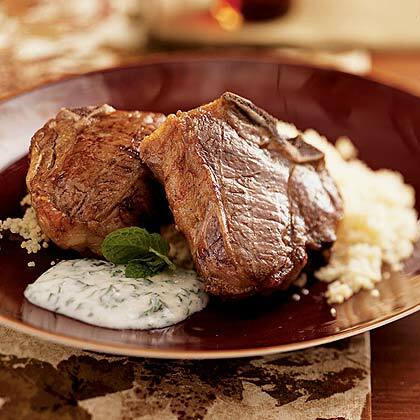 Chopped mint, basil, and parsley brighten the yogurt sauce. "Honey is an incredible anti-everything," says Jovial King. "It's antibacterial, antiviral and great for combating allergies, as long as it's raw." 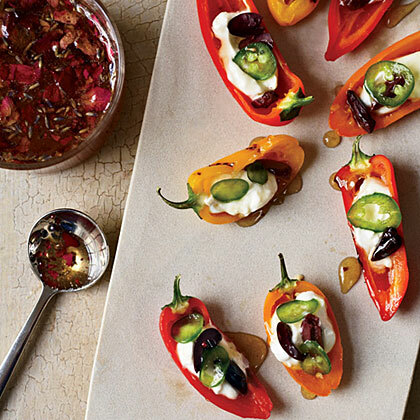 Marcia Kiesel uses King's flower-infused honey in savory dishes, like these yogurt-stuffed peppers. A refreshing combination of yogurt, cucumber, and dill completes this shrimp-laced pasta salad. 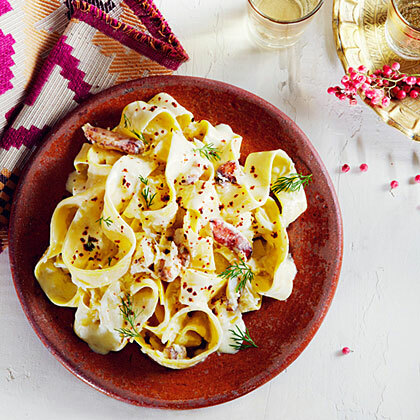 If the pasta absorbs too much moisture while standing, just add a little more yogurt to make it saucy again.